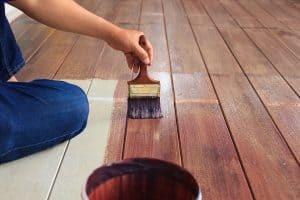 Whether it’s a wooden patio deck, a piece of old furniture, or your home itself, there is always the question of “should you stain or seal your wood?” Those who have never built too many things from wood might not understand the need to protect it from the elements, or the desire to stain it for maximum effect. 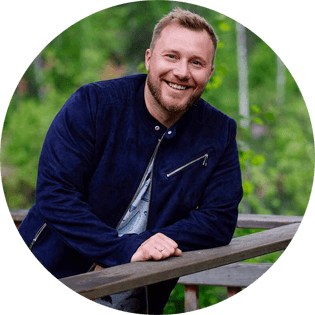 However, these processes are very important for many different purposes. With any wooden surface, the answer to this question will depend mostly on your needs and situation. Bear in mind that staining and sealing are two completely different processes with completely different results. While one is intended to enhance the natural beauty of the wood, the other is designed to protect it from rot. Bear in mind also that it is completely possible to do both of these things. So you don’t necessarily have to choose one or the other. The purpose of wood staining is to color the natural surface of the wood. Stain preserves the grain of the wood while giving it a more appealing color. You begin by preparing your surface with a little sanding. Remove any dirt, grime, sticky muck, or old paint that might be present, so that you have a clean, uniform surface. Then, you simply apply the stain with a paintbrush. Wood stain is thinner than paint so that it might feel a little different. It is also important to make sure that you apply the stain evenly, not allowing it to pool up. The smoother and more even the coating, the smoother your results will look. Stain comes in various tones depending on how dark you want the color to be. The lightest stain is usually called toner, while the thickest is called solid-color stain. The lighter the color, the more visible the woodgrain will be. Most of the time, wood stains are used to darken or lighten the natural tone of the wood, but they are available in brighter colors as well. So choose the best wood stain if you want to color the grain of your wooden project rather than protect it against exposures. Wood sealers are an entirely different beast. While staining is meant to provide beauty, the sealer is meant to provide longevity and strength. It does this by sealing the wood (hence the name) in a clear, waterproof substance like polyurethane. This keeps the wood from rotting and prevents moisture from seeping in through condensation, where it can gradually cause cracks. In the winter, this problem is especially bad, because water can get into the cracks of untreated wood, where it then freezes and expands. This is why you must use sealer on any wooden construction that is designed to be exposed to the weather. You can use a sealer on virtually any wood surface, whether it is bare or stained. Like a stain, you can just brush a sealer on with a standard paintbrush. Some prefer to use a foam brush for this kind of thing, but that is personal preference. It is worth noting that a sealer will still darken a wooden surface very slightly, but it won’t make much of a difference. 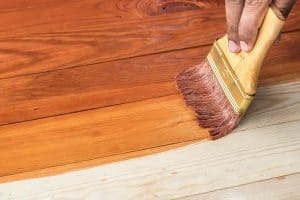 Definitely, if you want to protect the wood from rotting and moisture rather than give it a color then getting the best wood sealer would be a good decision. As I said, it will mostly depend on what you are building. Location is one big factor since an indoor object will have more need to beauty and an outdoor object will have more need for durability. In some cases, both may be equally important. Let’s think about a few specific examples. This is a textbook example of a situation that calls for wood sealer. When you are talking about a raised patio deck, serious injury could result from a collapse caused by rotten wood. As soon as a structure like that is built, it should immediately be sealed with the best-quality sealer available. Make sure that the wood is totally dry before you apply the sealer. If you don’t do this, you will end up locking in moisture, which will then cause the wood to rot from the inside out, thus defeating the entire purpose of sealing it. For a patio deck, the sealant should be good and thick, consisting of several coats. As for staining, it is mostly a matter of personal preference. It would be a good idea to match the tone of your wood to the general look of your home, just so that you do not create a garish appearance. If you are happy with the natural color of the wood, go ahead and leave it alone. The stain will make no difference as far as safety or durability. Let’s say you’ve got an old rocking chair that you want to re-finish. It looks well-made but is unattractive because the finish has worn off in places. Since this is mainly a cosmetic process, staining becomes far more important than sealing here. Your first step in the process will be to carefully sand away the old finish. You wouldn’t want to use a big power sander for a job like this, lest you risk damaging an antique. You might choose to use a small Dremel tool with a rotary sanding bit, but even that should be used with great care. If you go slow and take your time, you should be able to do it without damaging the wood underneath. After you’ve got your surface prepared, staining becomes the next natural step. There is usually no reason not to stain it at this point since it will only enhance the natural beauty of the wood. This is where we see the advantages of staining as opposed to painting. Paint would cover up the natural beauty of the wood, where stain preserves it and makes it better. There is probably no need to use a sealer on this old rocking chair unless, of course, you plan to put it outside. Since you probably wouldn’t want to do that with an antique that you just spent hours refinishing, sealer is probably not needed. One thing you may not have considered is building a nice shelter for your canine friend. If you haven’t at least considered it, you probably should. With a little basic carpentry skill, you can be a good pack leader and provide your furry friend with a small place to call their own. Naturally, the construction of a doghouse should be basic, since a dog really doesn’t care about appearances. A simple wooden box with a pointed roof is sufficient. It is best to avoid a flat-roof design because these may collapse if rain or snow can collect upon them. A double-slope, pointed roof design is the way to go. Once you have put it all together, you have to decide how to finish it. For obvious reasons, you shouldn’t bother with the staining. Once again, your dog doesn’t care what it looks like. I definitely recommend the use of a good sealer for this project. The most important thing for any doghouse is the ability to endure the weather, thus keeping your dog out of it. This makes the use of a good sealer very important. Give the doghouse multiple coats on the entire outside surface. Don’t worry about sealing the inside at all, as it is not necessary. Pro Tip: When you make the floor of your doghouse, put it at a very slight incline with a tiny grate at the lowest point. This is done so that any liquids that do get into the doghouse do not collect and are drained out as they naturally seek the lowest point. I could literally write all day about the many reasons for which a person might need a shed. Maybe you want to work with power tools in a way that won’t disturb your housemates. Or maybe you want a place to put a motorcycle, bicycle, or other small vehicles. Maybe you just want a place to put old junk that you aren’t using. Whatever your purposes, finishing will play an important role. Since a shed is not exactly a high-priority project, you don’t want to do this multiple times. You want to do this once and then never fool with it again. Realistically, you probably will have to fool with it again, but some good sealer can make sure that you have a long time. As for staining, that all depends on how close to your home the shed may be. If the shed is within plain sight of the home, it would be best to match the color of it to the general tone of your home, just so that it doesn’t look out-of-place. If your home is done in a particular style, you may want to match that as well. For a shed that is visible to almost no one except yourself, there is no need to waste time staining it. 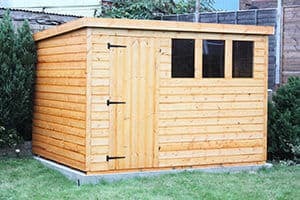 The whole purpose of a shed is to have a building that you don’t really care about so that you can do all the dirty and/or destructive things that you don’t want to do in your house. In general, pimping your shed is utterly pointless. But you don’t want it to look like a dirty hobo’s flophouse either, so use your best judgment. Most people don’t make their own doors these days, as most of the best ones are made of metal and glass, which are a little harder to work with than wood. However, if you do find yourself making a door, whether it be for your shed, your basement, or even your front porch, the construction is likely to be more or less the same. It is best to use a very thick piece of wood for security purposes, as thin wood is very easy to break. As for staining, you probably want to do this. It is important for a door to look good because when someone walks up to that building, room, etc., the door is the first thing they see. If you want to create a good first impression, a door goes a long way. So, you should definitely stain it, and you should definitely seal the outside half of the door for good measure. Hopefully, you have a good idea of what you’re dealing with by now. When it comes to simple, utilitarian construction that is meant solely to do a certain job, all you need is a good sealant. When it comes to something that is supposed to look nice, a stain is very important. For certain things, you would need both or (as in the case with the door) perhaps only a partial sealing. In the end, every project is different, so I hope that I have given you the knowledge to make an informed and competent decision. It’s worth mentioning that there are other wood finishes besides stains and sealers that you may be interested in.